If you’re into adrenaline, then there’s plenty of rides that you will be itching to get on. Whether you head on ‘Big Thunder Mountain’ for the wildest ride in the wilderness or decide to rock out with Aerosmith on ‘Rock ‘n’ Rollercoaster’, there’s some incredible rides that you’ll be wanting to go on again and again. If you fancy treating yourself while on holiday, there are plenty of places to make it a meal to remember. 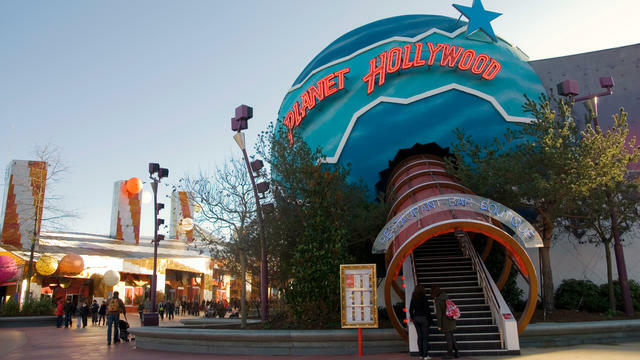 If you’re looking for food with an atmosphere, places like Planet Hollywood are not to be missed. The star-studded movie themed restaurant is full of memorabilia from famous blockbusters and always has incredible music videos through all the ages playing on the big screens. Or, if you’re really willing to treat yourself, Walt’s is a gorgeous table service restaurant with a beautiful interior to match each world of the Disneyland Park. It’s known to be the nicest restaurant in all of the resort in regards to both food and atmosphere. But be warned – reservations are highly recommended! In most restaurants, there’s ‘Glowtinis‘ – glowing martinis! Available both with and without alcohol. The shows at Disneyland Paris are incredible. They’re the kind of shows you’d pay top dollar to see in the West End or Broadway. Take a look at ‘ Mickey and the Magician’; an illusionist show with incredible singing and dancing, with a storyline fit for all the family. If you’re willing to pay a bit extra, ‘Buffalo Bill’s Wild West Show’ is a dinner and show that is an amazing way to spend an evening after exploring the parks. Join Buffalo Bill and his friends as you compete as teams in competitions, see famous faces such as Annie Oakley and the Rough Riders and re-enact fabled moments with shootouts, stunts and more. It’s utterly jaw dropping. It’s one thing to experience the magic, but to see the behind-the-scenes is truly fascinating. On the Disneyland Park tour, you’ll follow a guide and be taken back in time to learn about the history and incredible tales which makes the Disney experience unique. You’ll learn about what inspired Walt and how his vision is still brought to life today. 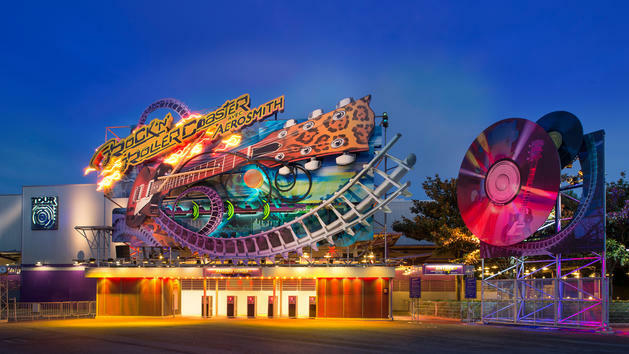 If film-making and movie magic is more your scene, then a tour of the Walt Disney Studios may be more for you. With the assistance of a guide, you’ll learn about Walt’s influence on the world of cinemagic and explore the world of animation and special effects that are crafted at a real working studio in the Walt Disney Studios park. Still think it’s a place for kids? I didn’t think so! There’s a lot more to the parks, too, but I’ll let you discover the magic when you get there. If you go to Disneyland Paris soon, make sure to tag us in your Instagram photos @UnitedByPop, so we can see all the fun you’ve had. Will getting tickets for Harry Styles’ solo tour feel like the Hunger Games?